Over $775 million in sales over the past six years. 2018 was a record breaking year for Amy Detwiler, whose team Detwiler + Wood produced over $175 million in sales, the highest production from any team in the company in Dallas. Over the past six years, Detwiler + Wood has had over $775 million in sales production. A Compass Founding Partner, Amy is joined by fellow top producer, Michelle Wood, to bring a team with unsurpassed knowledge, service and results to every detail of each real estate transaction. With a 20+ year track record of extraordinary results, Amy is a driving force in the real estate industry and recognized in the top one percent of real estate agents in Dallas - a goal she set early on after being named Rookie of the Year within the first six months of entering the residential business. She attributes her success to an extensive background in commercial real estate, which began in 1995 and led to a thriving career with prominent investment banking firm Nomura Securities. Working with the nation’s largest corporations and advising top executives on their real estate acquisitions gave Amy an unmatched portfolio of expertise in negotiating, buying and selling on their behalf. “I was privileged to be mentored by some of the most respected people in real estate. These experts taught me that being successful in real estate demands long hours, exceptional commitment to the client’s interests and constant attention to detail,” says Amy. Today, Amy keeps a close eye on the market and ensures your listing is seen by the best in the business. Through her exclusive membership in prestigious networking groups like the Masters of Residential Real Estate and The Network Council, Amy has the inside track on private transactions, pocket listings and global relocations, bringing the buyer to you. Coupled with one of the strongest real estate brands in the world, Amy maximizes opportunities by leveraging unparalleled marketing resources and a powerful brand network in Compass. Born in Louisiana and a graduate of Florida State University, Amy married a Texan and now lives with her family in Preston Hollow. 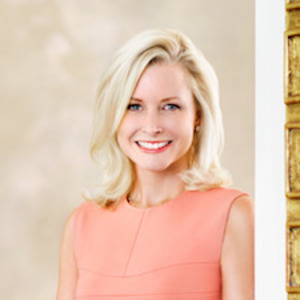 She enjoys staying actively involved with her children’s school, Episcopal School of Dallas, and contributing in the communities which she serves including Downtown/Turtle Creek, the Park Cities, Preston Hollow, Greenway Parks, Devonshire and Bluffview.